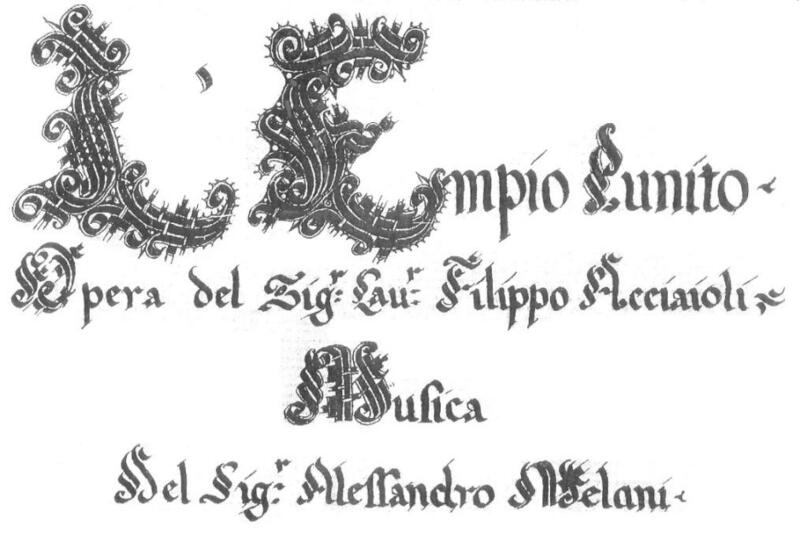 The Fondazione Teatro Verdi in Pisa with the Manzoni Theater of Pistoia and with the ensemble Auser Musici is promoting an audition to complete the cast of the opera Empio Punito (Rome 1669) by Alessandro Melani. Thios opera will inaugurate the 2019-2020 season of the Teatro di Pisa with the condiuction of Carlo Ipata and the direction by Jacopo Spirei. At the date of the last reply, October 19, 2019 the singers must not have turned 35, so they must be born by October 18, 1984. N.B. You will receive the necessary arias for the audition only after the paym,ent. In case of renunciation of the auditions the contribution will not be returned. The deadline for sending the registration is set for Thursday, 31 January 2019. Candidates will be evaluated by the Commission on the basis of the materials sent for the pre-selection. On April 15, 2019 the list of candidates admitted to the auditions will be announced. Tha audition will take place on May 26, 2019 in Pisa. The musical material will be sent by the Production Office upon registration. The auditions will be held Sunday, May 26, 2019 at the Teatro di Pisa. The aspirants will have to perform, in addition to the scores sent, also a significant piece chosen by the seventeenth-century repertoire. In the case of nominations for more than one role, the singers will have to perform all the pieces assigned for both roles. The audition will take place with diapason 415. 8 singers will be chosen to participate in the preparation stage in July. Of these 8 singers, there will be 6 who will be invited for the production of Pisa and Pistoia in October. The Commission will be composed by Maestro Stefano Vizioli, artistic director of the Teatro di Pisa, by Maestro Carlo Ipata, conductor of Auser Musici. and by Massimo Caselli, Director of the Mabellini School of Pistoia. The 8 selected candidates will participate in a free preparation and coaching stage with the director Jacopo Spirei, the conductor Carlo Ipata and the soprano Roberta Invernizzi. The internship will be held from 16 to 19 July 2019 and from 22 to 24 July 2019 at the premises of the Mabellini school in Pistoia and all participants will be guaranteed free accommodation. For all 8 singers selected, a scholarship of € 900.00 is provided. The Company meeting is scheduled for September 15, 2019 with performances in Pisa on October 12/13 and in Pistoia on October 19. The cachet for the 6 selected singers will remain under definition until the date of the selections. For any request, please refer to the email info@ausermusici.org or telephone number +39(0)50.941144.